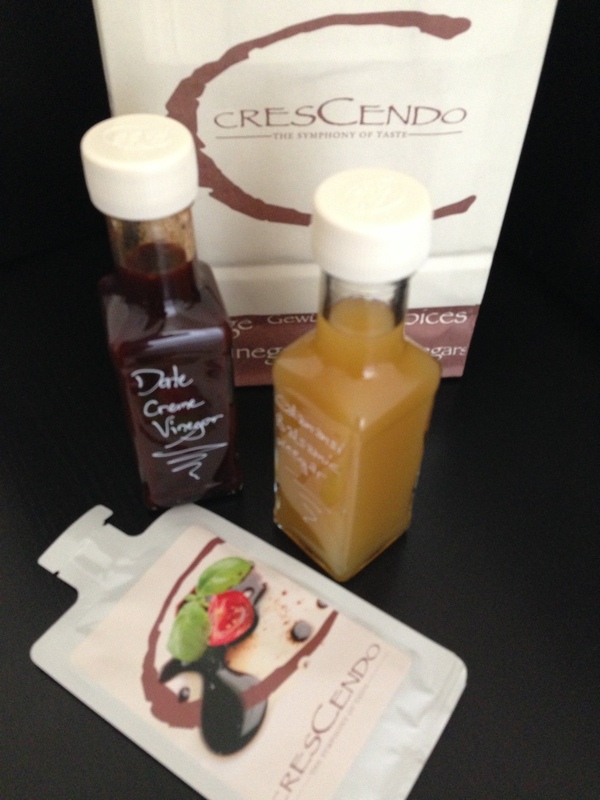 I was recently invited for the official launch of Crescendo,one of Germany’s largest retail franchises.They specialize in a wide range of premium quality Vinegar, Oils and a great selection of spices and herbs sourced from all over the globe. 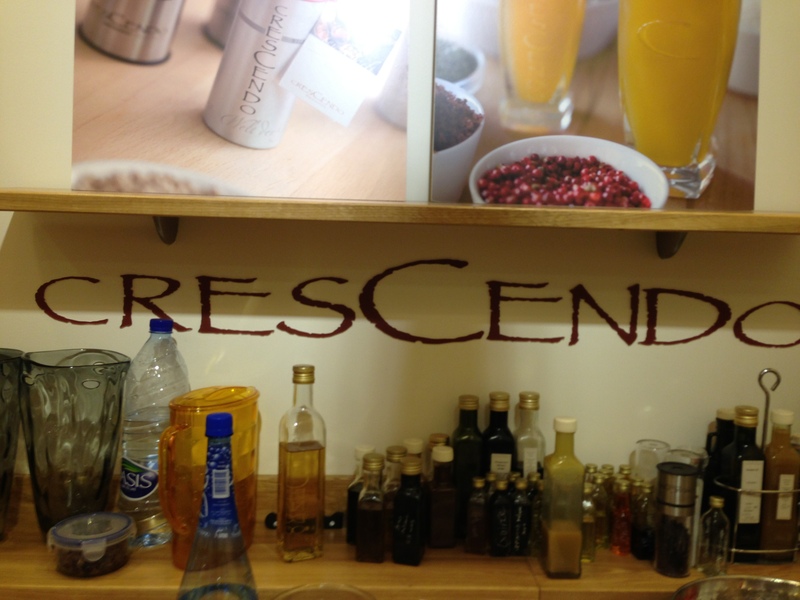 The afternoon spent at Crescendo was indeed a very informative one. 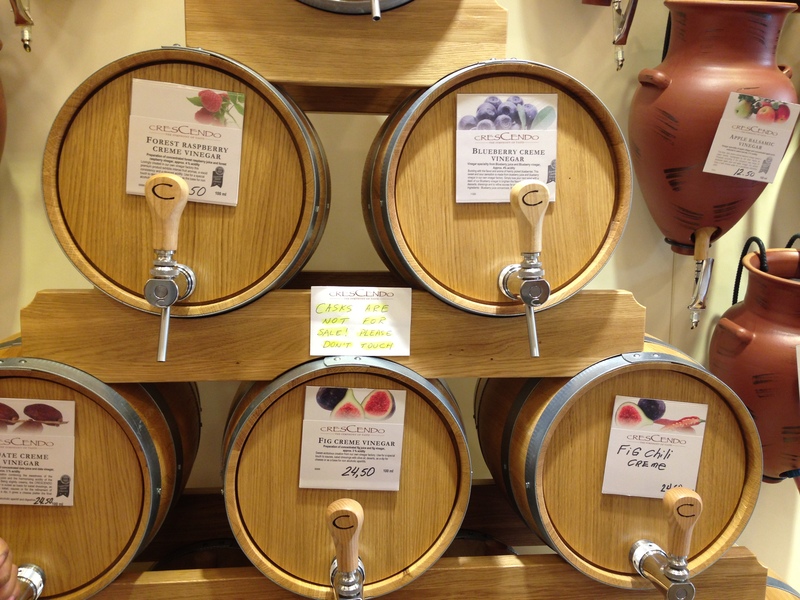 Kaspars Vendelis Crescendo’s in-house Good taste consultant educated us on a variety of uses and benefits of the various Oils and Vinegar in store. 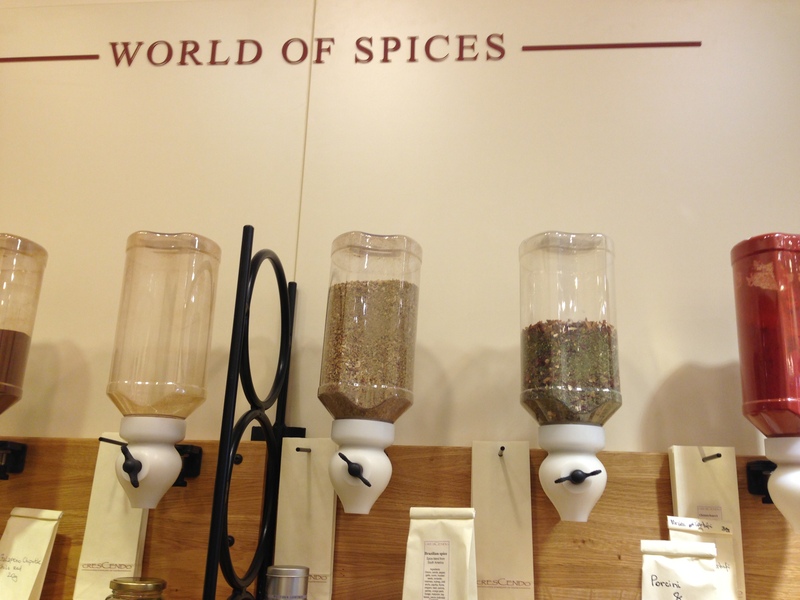 The range is fairly unique and can be adapted into various cuisines as well. 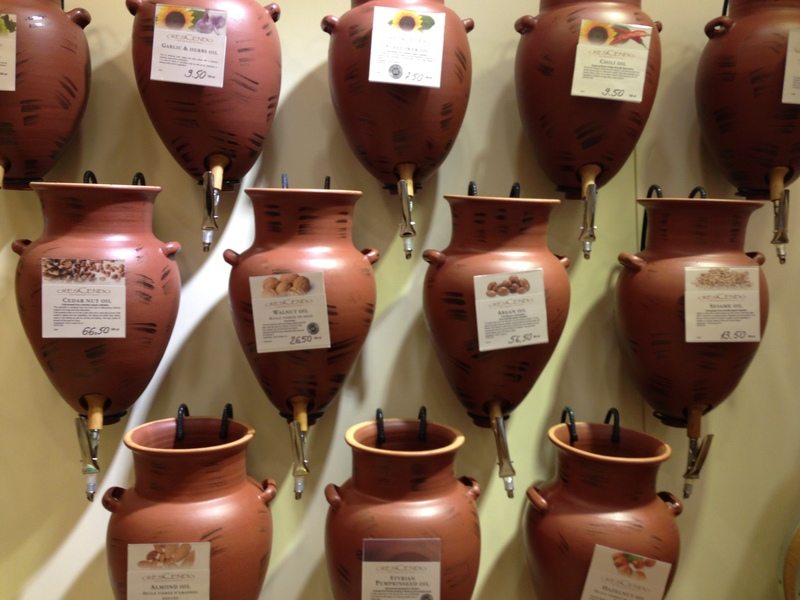 The Vinegar range from the Classic to Balsamic Aceto Balsamico and the wonderful Balsamic Crème varieties. We sampled some great varieties such as Raspberry vinegar,Date vinegar and Kalamansi vinegar.It was interesting to learn that the Crème vinegar have a higher percentage of fruit which makes the flavor more powerful. The blueberry vinegar was indeed a winner for me…and any wonder it has been awarded a three star rating by the International Taste and Quality Institute. We then went onto sampling a variety of Oils. These were classified as Extra Virgin Olive Oils, Nut Oils,Seed oils ,Infused Oils and wellness oils.A great tip shared by Kaspers was the anti aging oil mix. This is a combination of Argan oil,grape oil and walnut oil.Furthermore wheat germ oil has some great healing properties especially for damaged skin as it has a high content of vitamin E.
Crescendo stocks a great range of International spices as well. They are quite a unique blend and have over 90 different varieties to choose from. The session ended with a live cooking demo by Kaspers. Just as well as after having sampled an array of vinegar and Oils it was interesting to see how these could be used in cooking as well. Boil quail eggs and put aside. Clean and cut the chicken liver into bite size pieces. Put the liver in a bowl and marinate with raspberry vinegar for 20 minutes,pat dry and roast on a hot pan. On plates assemble mixed salad leaves with cucumbers and tomatoes with raspberry vinegar and hazelnut oil. 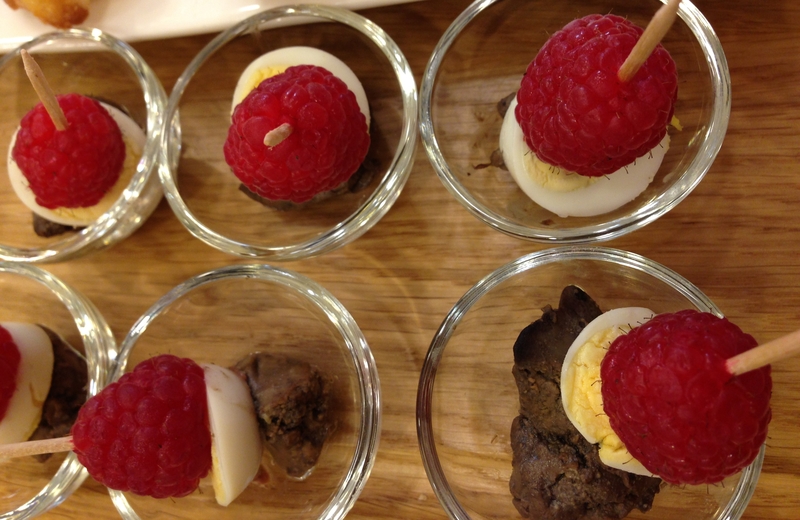 Arrange the chicken liver over the salad leaves and top with the quail eggs. Great ways to use Oils and Vinegar in your everyday cooking. What more their bottles come beautifully packaged in elegant bottles and would certainly make great gifts. Do visit them soon. Crescendo is located in the Souk Madinat Jumeirah on the main level next to Patchi. Unusual combination, but am trying to imagine the taste – like it! Nice idea to gift these!! Yummy pics! Absolutely.. The bottles are so well packaged and make fabulous gifts!! !